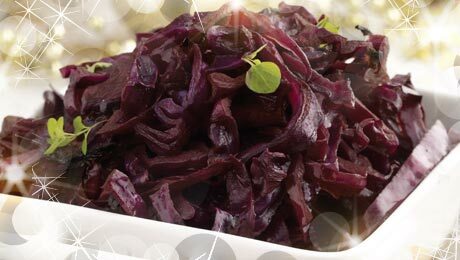 This delicious combination of Red Cabbage and Onion is a fantastic addition to any meat dish. I would recommend using the remaining half of the cabbage in a coleslaw mix, perfect with some leftovers! Melt the butter in a pan over a medium heat and add the cabbage, onion, bayleaf and cinnamon stick. Stir frequently until slightly browned which will take approx 12-15 minutes. Pour the red wine, balsamic vinegar, stock and spices into the pan and bring to the boil, add the honey. Simmer over a low heat for about 45 minutes until the cabbage is tender, then remove the cinnamon stick. Season with some salt and pepper and serve immediately.